DATE & TIME: Wednesday, September 9, 7:00 p.m.
Not one, not two (and not all seven, either) but five (5!) 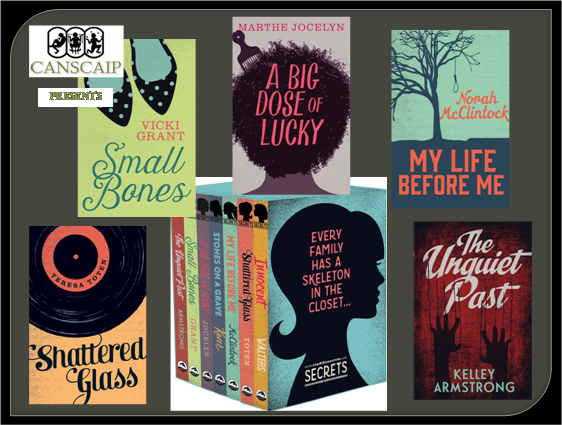 of the Secrets authors will be on hand for a panel discussion of their new series of linked YA novels from Orca. The award-winning and bestselling authors Kelley Armstrong, Vicki Grant, Marthe Jocelyn, Norah McClintock and Teresa Toten will engage in a lively discussion moderated by Kevin Sylvester. It’s no secret that our September session will be stellar and stupendous! Don’t you dare miss it! PRE-MEETING DINNER: If you would like to attend dinner with the speakers at 5:30 pm, please email Cathy Rondina. Dinner will be at The Pickle Barrel (1 block north of Eglinton, west side of Yonge, 2nd floor of Yonge-Eglinton Centre).